Neighbourhood Support provides you with the opportunity to make a real difference in your community We work closely with other organisations, striving for collaboration. Our aim is to nurture more resilient and safer communities so we can positively influence outcomes. 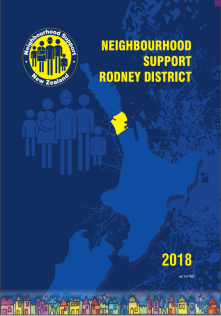 Across New Zealand, Rodney Neighbourhood Support shares ideas and insight in order to make their community a place where they are proud to belong to. Neighbourhood Support recognises and values the commitment and support of people who give their time freely. We welcome people from all walks of life, of all ages, from cultures and communities throughout New Zealand.